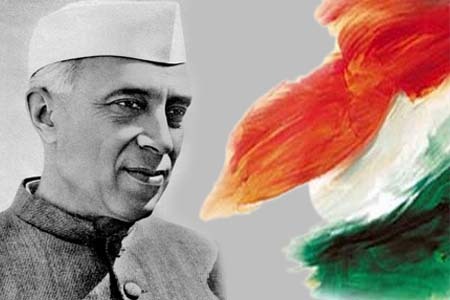 Pandit Jawaharlal Nehru, Some unknown facts on his 53rd death anniversary. Pandit Nehru remains the longest-serving prime minister of India as he remained in power for 17 years from August 15, 1947, until his death on May 27, 1964. Many Few people know that Grandfather of Jawaharlal Nehru was last Kotwal of Delhi. His Grandfather Gangadhar Pandit joined as Kotwal before 1857 war and later he moved to Agra with family in his last time in the year 1861. As we know most freedom fighters are habitual of writing during Prison and Nehru also wrote his autobiography in Prison in 1935. The Book was written by him titled “Toward Freedom” was Published in the year 1936 in the USA. The fashion of current Politician for Nehru Jacket was invented by Jawaharlal Nehru which idea was taken from the western world. Before Independence, the most politician only wears a white dress but Nehru was the first politician who changed the trend. We can see rose buds in his jacket in clicked photographs of him. As we know that He is the First Prime Minister of India. You will shock to know that He never got Noble Prize for Peace. Like Gandhi, he was very popular and he was nominated 11 times for Noble Prize mostly for Peace during 1950-1955 but He never able to get a Single Prize from Nobel. He was very fond of smoking. We can see many Pictures of Nehru Smoking Cigarette. His favorite brand was 555 Cigarette. One time he was at visit of Bhopal and he forgets to bring cigarettes with him & also didn’t get this brand in Bhopal Market. Then he sends an Airjet to bring his brand from Bhopal to Indore. The Plane returned after sending some packets at the airport. Read Also: Who was Ferdinand Monoyer? He had very deep knowledge of India which we can see in his Book “Discovery of India”.He Belongs to a Kashmiri Pundit family having a true sense of Pundit. There is a show named “Bharat Ek Khoj” was made on his Book which shows Indian history from the prehistoric period to India independence. Many Few people know that he fell in love with British girl Edwina Mountbatten. We can see many photographs of Nehru and Edwina together on the internet. There are many letters found of Nehru wrote to Edwina which tells the relationship between them. Many few people know that main Cause of Partition of India was Nehru. It is said that during India independence Muhammad Ali Jinnah wants to become Prime Minister but Nehru refuse to leave the seat for prime minister. Due to this Jinnah announced a new country for Muslim if not able to become prime minister and thus Pakistan Born. He has connections with some powerful Muslim leaders as the Leader of Congress in 1937 was Sheikh Abdullah. From Starting to his political journey most of Muslim Leaders helped him. Nehru died because of a Massive heart attack on 27th May 1964. Around 1.5 million people gathered to watch his cremation. This was second time huge gathering after Gandhi Funeral.